What is the difference between being head of a major transport company in the big city and building a log house out in the country? – 10 kilos, and it has been a long time since I felt this great, replies Åke Stålberg. 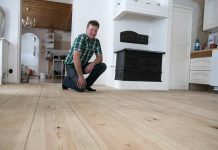 He lost this weight when he and his wife Karin left their life in the big city two years ago and started running their building business on a full time basis. 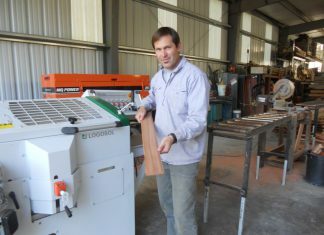 Åke purchased a Logosol M7 with an electric saw assembly and milling machine, as well as a Logosol PH260 planer/moulder. 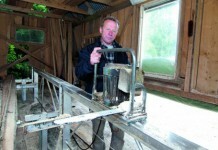 Demand for log cabins drove the couple to start building up their own log cabin production house. 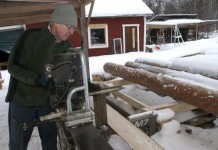 Over the past two years, Åke and Karin have built about 20 log cabins together. Half of these they have also assembled. It is not only small cottages that they have built; half of them are full-size houses for year-round living. – Our business model is to build according to the customer’s ideas and plans, says Åke, who has been surprised by the fact that established homebuilders have such trouble meeting customer wishes. While openness to ideas is the basis of their business, Åke also built up their production in a streamlined way. Timbering is a building system in its own right and the components need to be made in a planned and coordinated fashion. Customer requests focus on area, room division, placement of doors, and so on. 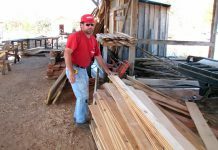 He buys most of the wood pre-sawn, primarily slender northern pine. He cuts some himself on his Logosol M7, but this is primarily for another task. 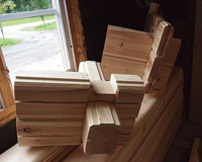 He offers two types of frames, one with 3-inch lumber and the other with 5-inch. 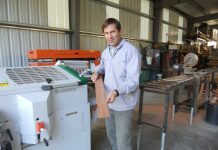 The leaner lumber can be fully milled in one pass on the planer/moulder. 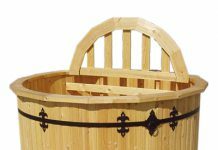 The 5-inch lumber is planed on two sides, while the profile and opposite side are made in the sawmill using the log moulder. 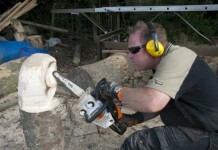 The M7 is also used to adjust the wood. 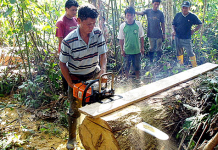 He machine mills the corners and the lumber is cut to exact length. 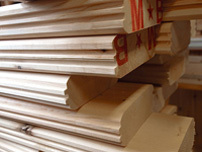 By purchasing dried wood, the result is a perfect fit to the building site and a wind-proof construction. 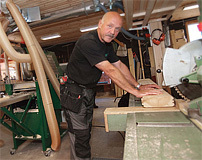 The planer/moulder is also used to produce sections of trim and baseboard, much of it with profiles that Åke and Karin have created themselves or found in old houses. But the big seller, aside from log houses, is hardwood flooring. The most recent delivery was a 250 square metre floor for a customer in Denmark. The planer has really held its own. 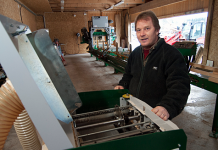 – I have definitely planed at least 50,000 linear metres, 10,000 of which were timber, says Åke.